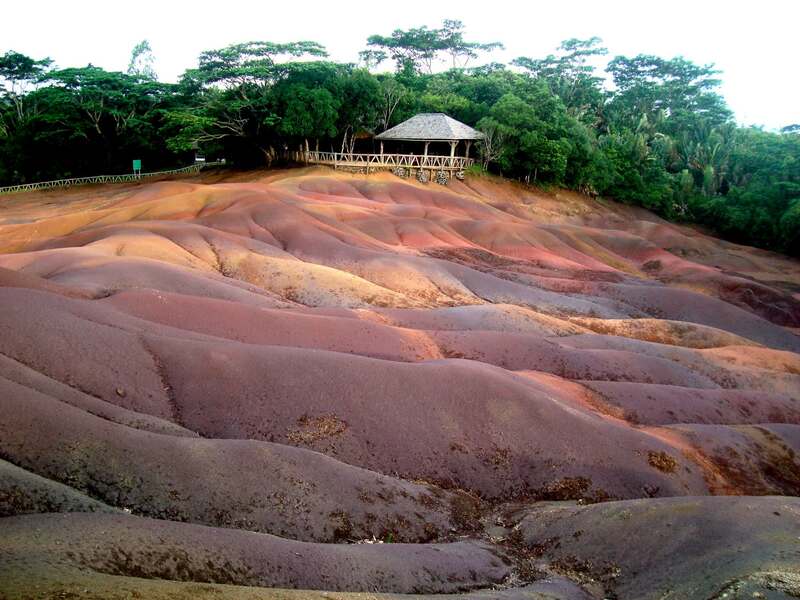 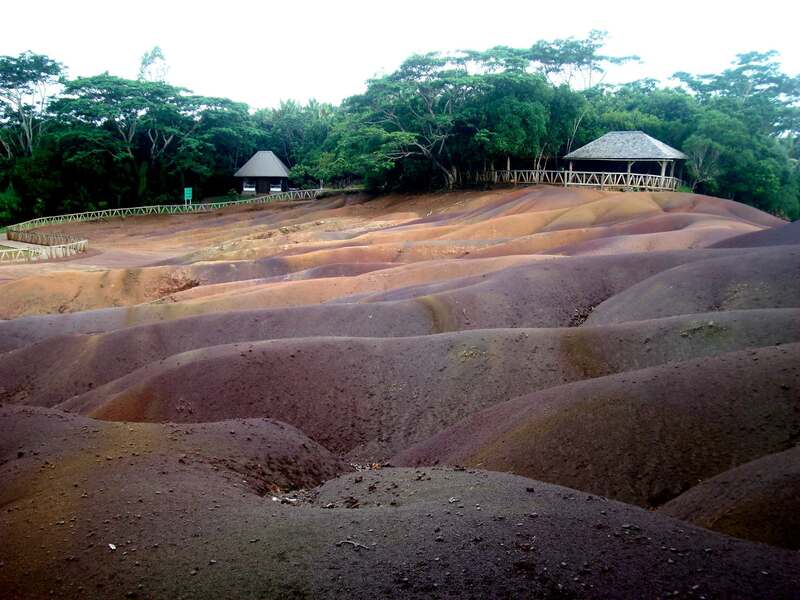 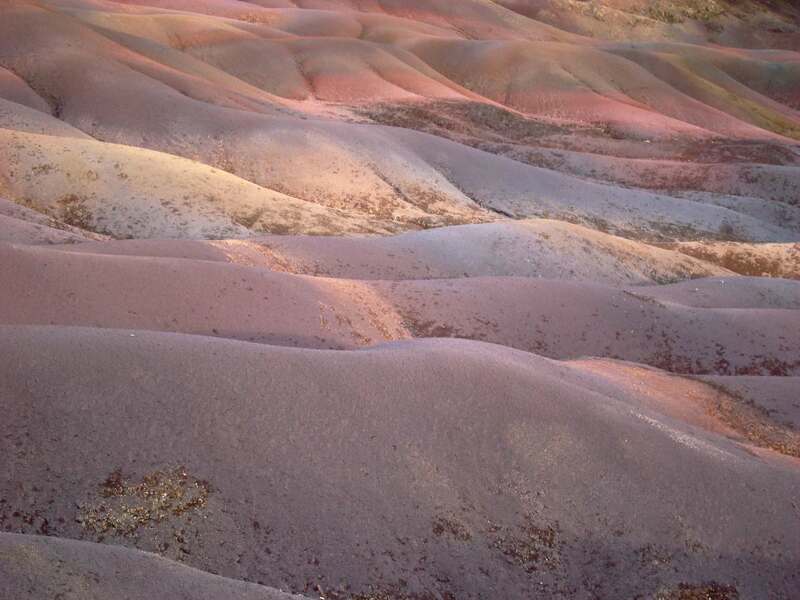 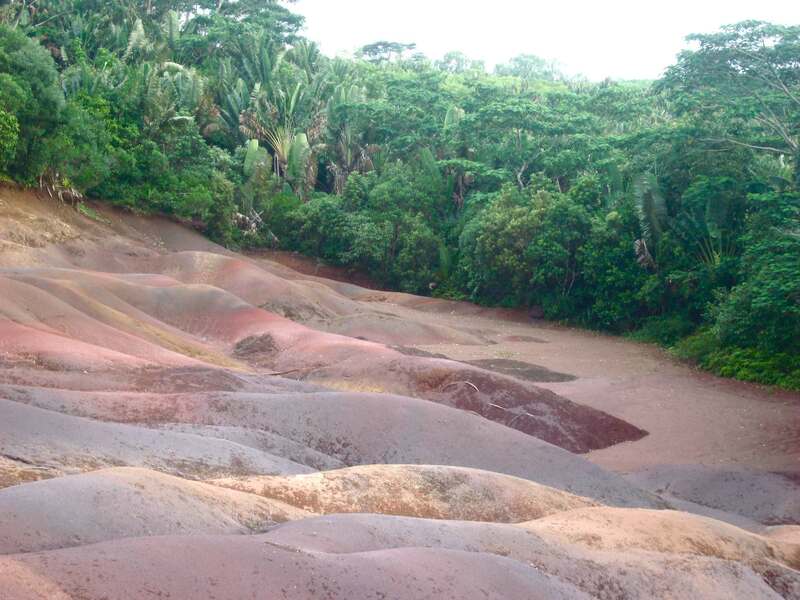 This world famous attraction is a unique volcanic geological phenomenon resulting in seven colours of earth swirled together to create a beautiful feature. 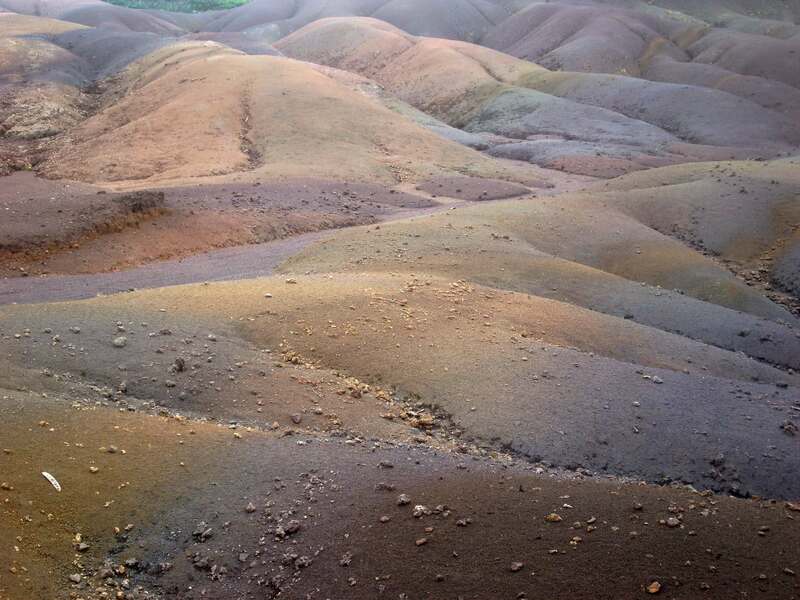 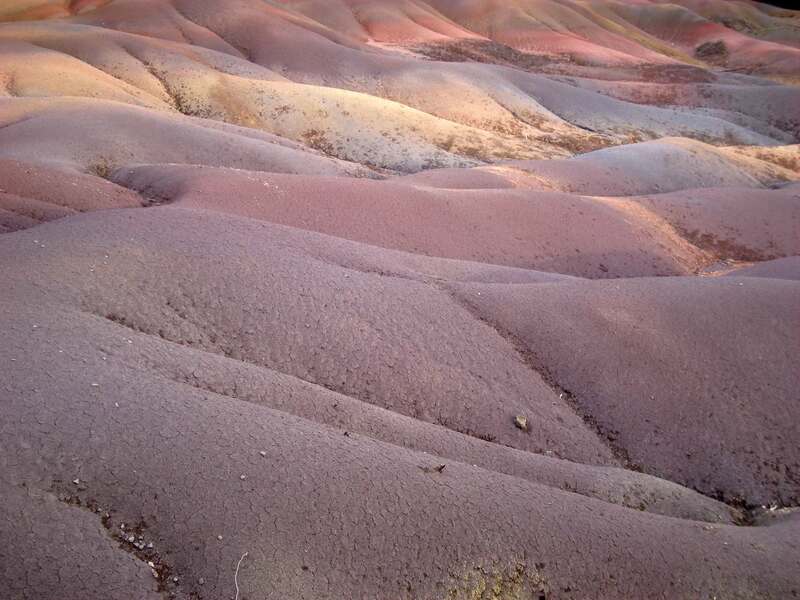 This small area of strikingly bare landscape showing well-developed rills and various shades of red, brown, violet, green, blue, purple, and yellow. 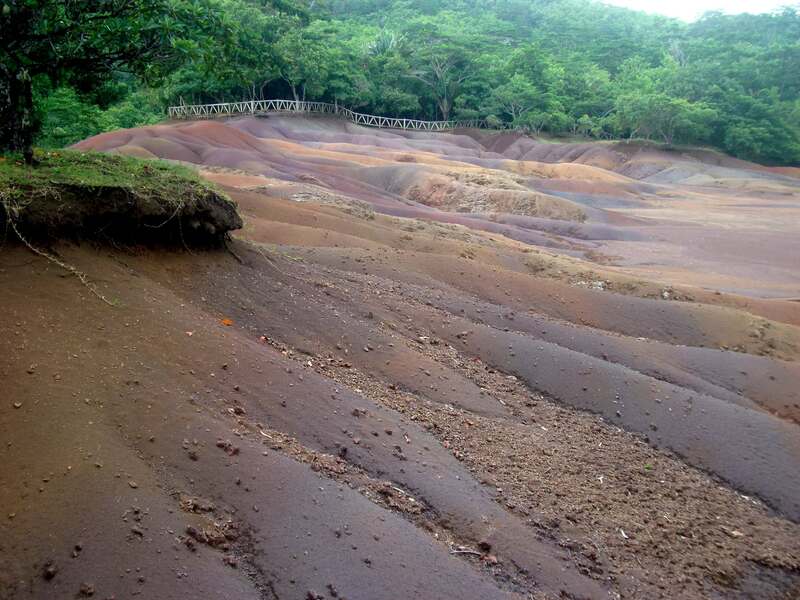 Chamarel rises 283 meters above sea level and is reached by a panoramic route, which cuts through the luxurious tropical forest surrounding it. 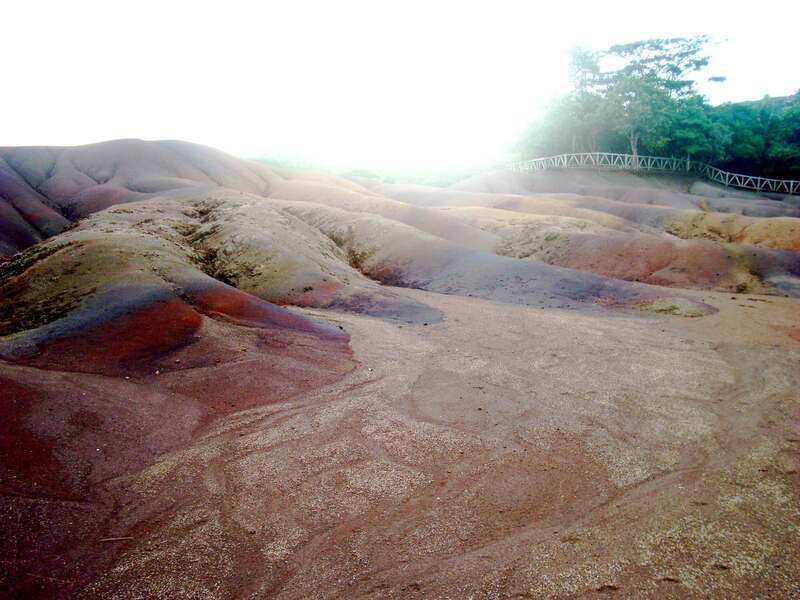 There are many places to stop to admire the exquisite view and take photos.